during the 2018 Sealcoating Season! *Discounts are off of list price ONLY and cannot to be taken with any other discounts and cannot be redeemed for cash or returned for a cash refund. DC Promotions not applicable to Neyra contract bulk customers and are subject to change. 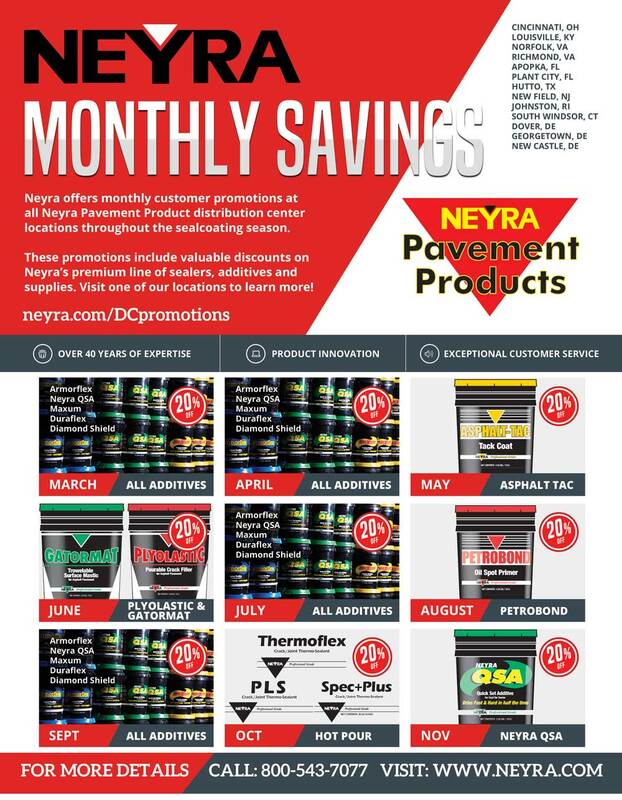 For a print-ready PDF of the distribution center promotions calendar, click here.